No decay present but wishing for those perfect teeth? Don’t like to smile as you are self-conscious? Cosmetic dentistry covers everything from changing the shape, colour, position and appearance of teeth. 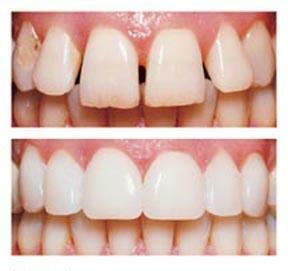 This ranges from using many techniques and treatments such as veneers, bridges, crowns, white fillings, tooth whitening and orthodontics. Each of these is explained in depth throughout our website. Please see our treatments page for further info. For a cosmetic dentistry Glasgow has plenty of them but here at Govan Dental we only provide the best treatment. If you wish to have Orthodontic work carried out we have a vareity of systems to give you straight teeth in less than 6 months! Although cosmetic dentist Glasgow treatments are often not available on the NHS, we still have very affordable private options. If you would like to know more about our great comsetic dentisty offers and options for treatment give our reception staff a call on 0141 445 1829 or BOOK ONLINE. Your dream smile may be closer than you think! Govan Dental Care: The best cosmetic dentist Glasgow has to offer. To learn more about our cosmetic dentistry treatments and more please click on the link below to view a variety of videos.